We value long-term relationships and are committed to providing professional, high-quality customer service. We take special care to ensure that your cargo arrives professionally, safely, and on-time. We continually strive to provide the highest level of service and safety in the transportation industry. Established in 1997, we are a family-owned and operated transportation company based out of Southeast Iowa. Our mission is clear: “Never promise more than we can deliver; Always deliver more than we promise.” We pride ourselves on exceptional customer service, phenomenal operating efficiency and a second-to-none safety/CSA rating. Experience, integrity, and a solid track record has earned Moutrie Trucking the reputation as one of the area’s premier transportation companies. We are committed to high fuel efficiency, low emissions, and the smallest carbon footprint possible, which means WE RUN GREEN! Moutrie Trucking is 100% compliant with all Federal Motor Carrier Safety Administration Rules and Regulations of Transportation. Authorized to transport freight in 48 states, Moutrie Trucking offers coast-to-coast transportation solutions, as well as, local dedicated services to fulfill all of our customer’s needs. We provide the little extra’s to make our drivers time away from home comfortable. These extras include: satellite radio, satellite television, refrigerators, bunk beds, etc. "Moutrie Trucking is still the BEST company I ever worked for. Anyone who wants to be treated fair and with honesty should drive for Moutrie. Go Team Moutrie!" 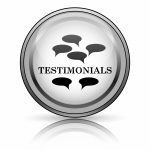 "I have found working at Moutrie Trucking very rewarding. Their word is good. When they tell you something, they deliver exactly what they have told you. I have worked for people that have provided less than adequate equipment. Moutrie Trucking provides top notch equipment. Their schedules and delivery times are realistic. I have met many very nice people and have seen parts of the United States that I probably wouldn’t have seen on my own. If you are looking for a rewarding, satisfying career, I would recommend giving them a call." "Having been in the trucking industry for 30+ years I can say Moutrie Trucking is by far the most professional and best run company I've been associated with. Customers and service to them is exceptional because of the professional yet personal environment at Moutrie. Top rate equipment, excellent logistics management and work environment make customers and drivers proud to work for and with Moutrie. If you're a driver or a customer you can't do better than Moutrie." "It has been my pleasure to work with this professional, hard-working company where customer service is priority one!" "We have been using Moutrie Trucking for five years and their service is always excellent. The drivers are all focused on customer service, which makes delivery a great experience for our customers as well. Highly recommend Moutrie Trucking for all your transportation needs."